The island of Hydra — less than two hours south of Athens by ferry — offers the ideal Greek island experience, and doesn't even require a long journey across the Aegean. It has one real town, no real roads, no cars, and not even any bikes. Water taxis whisk travelers from the quaint little harbor to isolated beaches and tavernas. 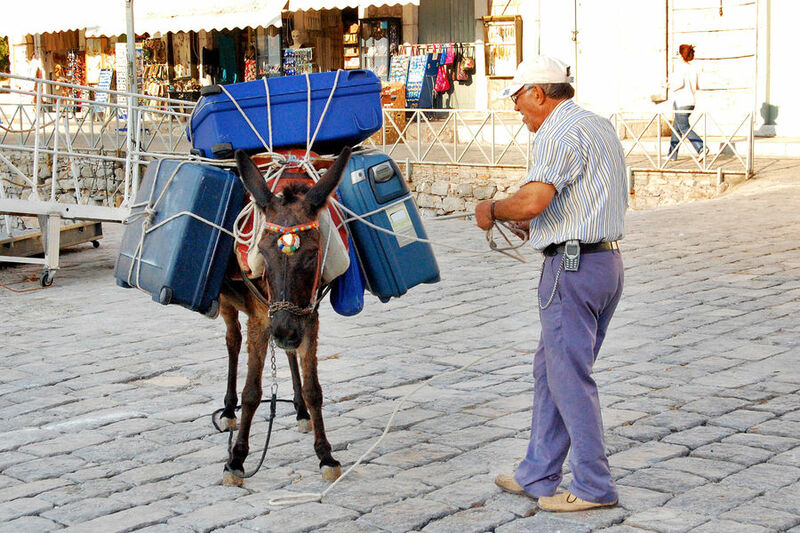 Donkeys are the main way to transport things here. These surefooted beasts of burden, laden with everything from sandbags and bathtubs to bottled water, climb stepped lanes. Behind each mule-train toils a human pooper-scooper; I imagine picking up after your beast is required. On Hydra, a traffic jam is three donkeys and a fisherman. Hydra (pronounced EE-drah) is hardly undiscovered. In 1956, Sophia Loren came here to play a Hydriot sponge diver in the film Boy on a Dolphin, propelling the little island onto the international stage. (A statue honoring the film sits just outside of town along the coastal path.) By the 1960s Hydra had become a favorite retreat for celebrities, well-heeled tourists, and artists and writers, who drew inspiration from the idyllic surroundings. The late Canadian songwriter Leonard Cohen lived here for a time — and was inspired to compose his beloved song "Bird on the Wire" after observing just that here on Hydra. To honor the expat poet, the town is naming the street in front of his house after him. Not that street names mean much — locals ignore addresses, and few lanes are labeled. 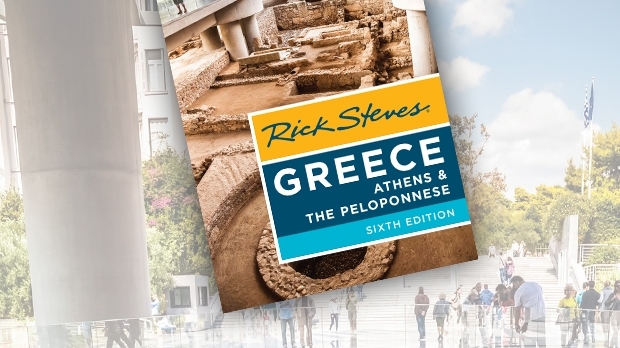 Expect to get lost in Hydra…and enjoy it when you do. Today visitors only have to count the yachts to figure out that Hydra's economy is still based on the sea. Tourists wash ashore with the many private and public boats that come and go, but few venture beyond the harborfront. Locals, proud of the extravagant yachts moored for the night, like to tell of movie stars who make regular visits. Little Hydra — which has produced military heroes, influential aristocrats, and political leaders — is packed with history. Rusted old cannons are scattered about town, and black, pitted anchors decorate squares. 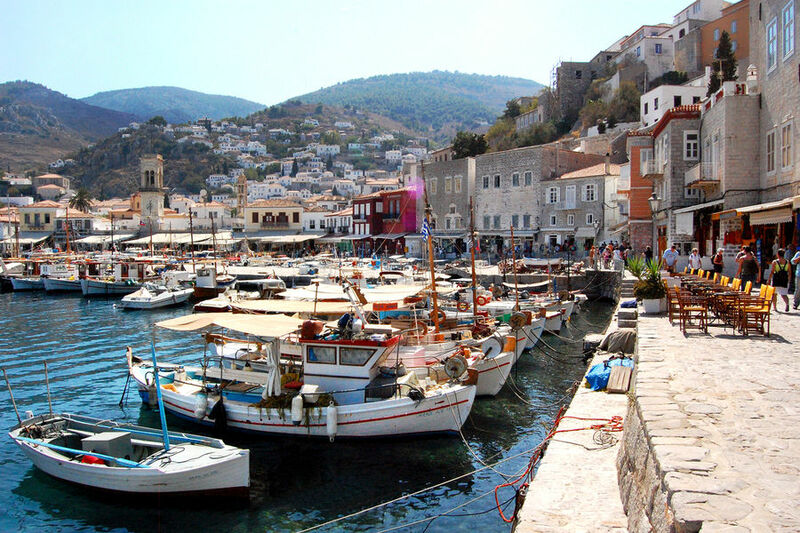 Hydra also has a few small museums, including a historical museum and a wealthy shipping magnate's mansion. But while the history is somewhat interesting, the beauty of Hydra is in relaxing at a café and aimlessly wandering its back lanes. Once, I decided to head uphill from my hotel, and my small detour became a delightful little odyssey. While I had no intention of anything more than a lazy stroll, one inviting lane after another drew me up, up, up to the top of the town. Here, shabby homes enjoyed grand views, tired burros ambled along untethered, and island life trudged on, oblivious to tourism. Although Hydra's beaches are nothing to get excited about, there's no shortage of places to swim. The one swimming spot right in Hydra town has steps that lead down from the sidewalk to a series of small concrete platforms with ladders into the sea. And a few decent beaches lie within a pleasant, easy walk of town: Mandraki Bay, Kaminia Castello, and Vlychos. Distant beaches on the southwestern tip of the island (Bisti and Agios Nikolaos) really get you away from it all, but are best reached by boat. As sunset nears, I head for the rustic and picturesque village of Kaminia, which hides behind the headland from Hydra, about a 15-minute walk along the coastal path. Kaminia's pocket-sized harbor shelters the community's fishing boats, and its taverna, perched on a bluff above, boasts my favorite, irresistible dinner views on Hydra. Sitting on the porch with a glass of ouzo and some munchies, I watch the sun dip gently into the Saronic Gulf. At twilight, I walk back to town along the lamplit coastal lane, under a ridge lined with derelict windmills. Back in town, I settle on a ferry cleat the size of a stool, scanning the scene. Big flat-screen TVs flicker from every other yacht. All the high rollers seem to be back on board watching movies. I observe the pleasant evening routine of strolling and socializing. Dice clatter on backgammon boards, entrepreneurial cats seem busy, children chase soccer balls, and in a low-profile corner, a tethered goat chews on something inedible. From the other end of town comes the happy music of a christening party. Dancing women fill the building, while their children mimic them in the street. Farther down, two elderly, black-clad women sit like tired dogs on the curb. Succumbing to the lure of a pastry shop, I order some honey-soaked baklava. I tell the baker I'm American. "Oh," he says, shaking his head with sadness and pity, "You work too hard." I answer, "Right. But not today."